A rambling series of anecdotes from the creator of the essay form, performed with great energy. Michel de Montaigne, the 16th century writer and philosopher, was a complex character. He invented the essay form – his ‘essais’ being ‘tryouts’, as he explains – to set down his thoughts on a vast range of topics. He wrote over 100 essays, on subjects as diverse as anger, virtue, vanity, smells, sleep, solitude, pedantry and drunkenness. 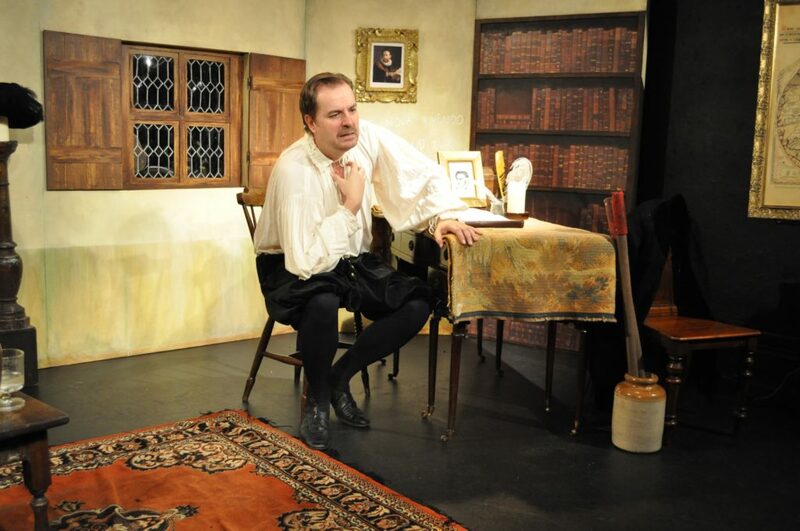 In this one-man show Jonathan Hansler plays Montaigne to powerful effect, welcoming us as English visitors into his library and regaling us with anecdotes from his long and varied life. Born into a life of luxurious nobility – “all thanks to wine and saltfish” – Montaigne was nearly killed while hunting; as a child, his father decreed that those around him (including the farm labourers) should speak nothing but Latin for the first five years of his life; he had an audience with the Pope; in later life he reluctantly became mayor of Bordeaux, on the strict instruction of King Henri. The library set is impressively naturalistic, with flickering candles, period furniture and a leaded window. The action is punctuated by an impressive combination of Julian Starr’s sound design and Venus Raven’s dramatic lighting effects, which together neatly evoke scenes from Montaigne’s life. As he admits, Montaigne’s essays tended to wander off topic. It’s this trait that, while perhaps being true to the spirit of Montaigne’s writing, is the major drawback of the show. The meandering, rambling discourse jumps from story to story without any real narrative structure, leaving the audience with the impression of having spent an hour in the company of a dinner party bore who won’t let anyone else get a word in. 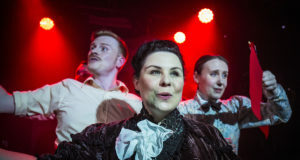 I’ve seen some truly impressive one-man shows, from Steven Berkoff’s searing reading of Poe’s Telltale Heart to Nichola McAuliffe’s dazzling portrayal of all the protagonists in the Toxteth riots. But while Hansler’s performance is impressive, the lack of narrative direction in Michael Barry’s script makes for a confused and ultimately wearying show. 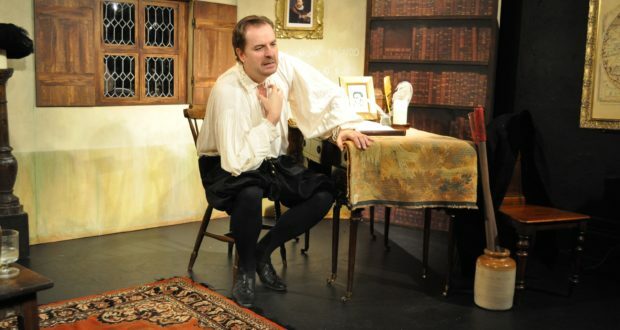 Hansler is good at the business – at one point speaking from the privy offstage as he passes a painful kidney stone – but no amount of bravura performance can turn a string of disconnected anecdotes into a piece of compelling drama. 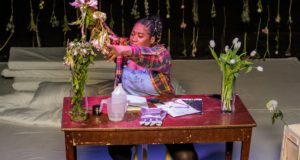 Even the ending of the play passes unnoticed: if it weren’t for a plant in the audience starting to applaud, we’d have been waiting to see what happened next.